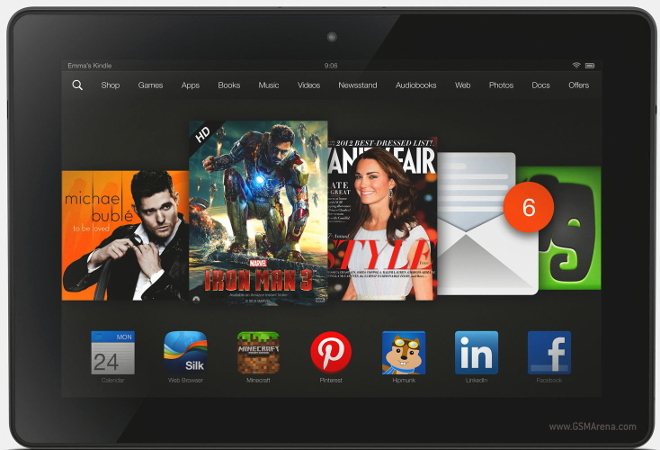 Thinking about picking up a Kindle Fire HDX? Then you’re in luck. Amazon is selling the tablet at an £80 discount for both the 32GB and 64GB versions of the device. Users hoping to save some money on the cheaper, 16GB model will be out of luck, as the discount is only good for the larger capacity iterations of Amazon’s tablet. The deal effectively makes the 32GB and 64GB versions of the slate £149.00 and £179.00 respectively. Maybe you’re more of a reader? Well Amazon is also selling its Refurbished Kindle Paperwhite Touch for $85, meaning you’ll save $24 on the e-reader. If any of these deals intrigue you, you have until midnight of July 16th, this Thursday, to nab the products. Anyone thinking about picking one of these bad boys up? If so, click the source links below.